Home > Andean Patagonia > Bariloche > What to eat in Bariloche? Your visit to Bariloche should include a “flavors tour”. Bariloche is famous for its smoked foods, particularly deer and trout, its chocolates, or the north European confectionery and craft beers. You definitely cannot state you have been to Bariloche if you haven’t tried any of these! Trout and salmon are generally found in a wide variety of preparations: grilled, with different sauces or filled pasta such as ravioli or sorrentinos … a true delicacy! And chocolates will tempt you along and across the city. The “stemmed” chocolate is the most typical but the variety of bars with nuts, grains and berries from the region is incredible. And if you want to fully succumb to the temptation, try a chocolate fondue … you will become a fan of Bariloche. 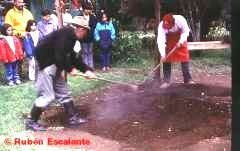 If you are an adventurous soul in search of new flavors you’ll want to try Curanto, a traditional Mapuche dish that involves cooking a variety of meat (beef, lamb, pork) with vegetables in a pit covered with soil. 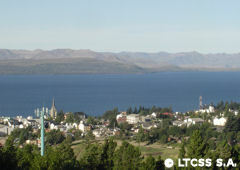 To try it you just have to travel a few miles to Colonia Suiza, very near the center of Bariloche. The craft breweries are a classic in Bariloche, coexisting traditional with avant-garde ones. Whichever you choose, it will become a good memory of Bariloche on your palate.